Evodos removes even the finest particles and oil droplets using our spiral plate technology – ultrafine particles settle into dry, clay-like material in a matter of minutes, and oil and water are easily separated. 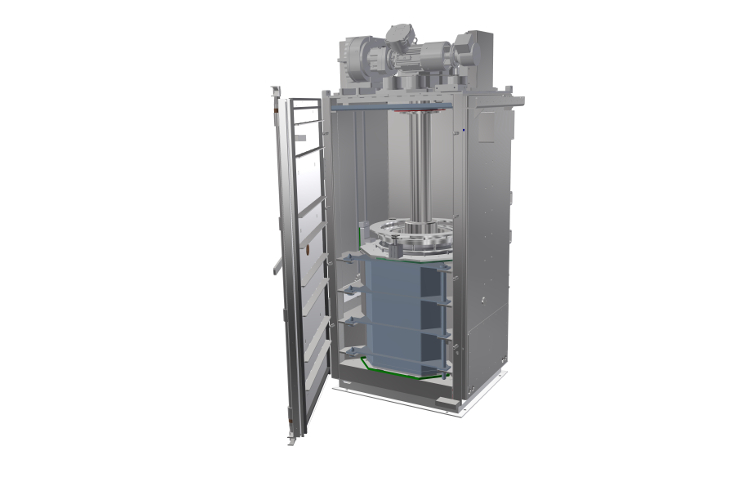 The C50 is designed to operate as a configuration of multiple units, customized for your process requirements, separation challenge and site specifics. The C50 dynamic setter is available in two- or three-phase separation mode to separate liquid/solid or liquid/liquid/solid streams of content. The Evodos C50 was designed for the oil and gas industry. Built of stainless steel, carbon and viton, it withstands the abrasive materials of resource recovery. An easily replaced cartridge houses elements subject to regular wear.